OH MY GOD! 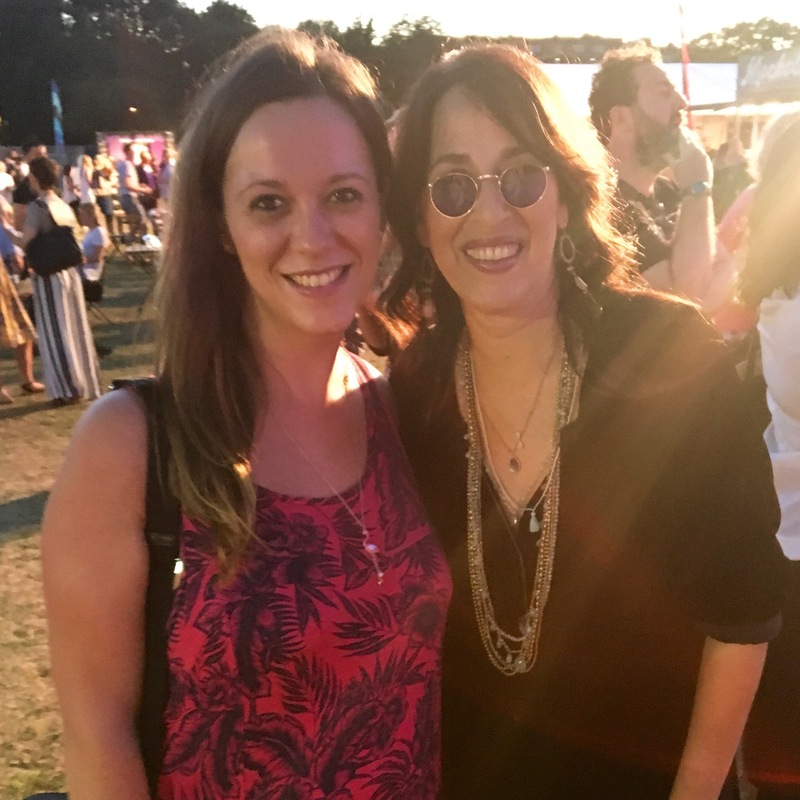 Here’s a throwback photo of me, 6.5 months pregnant, meeting Janice from F.R.I.E.N.D.S (aka Maggie Wheeler) at the ‘Friendsfest’ event in London last year… Friendsfest was so much fun – if you didn’t make it last year, then I recommend a visit to the event this summer. Oh. My. God. It’s Janice! I’m a sucker for film sets and I love walking the streets of New York spotting the familiar locations and sites. 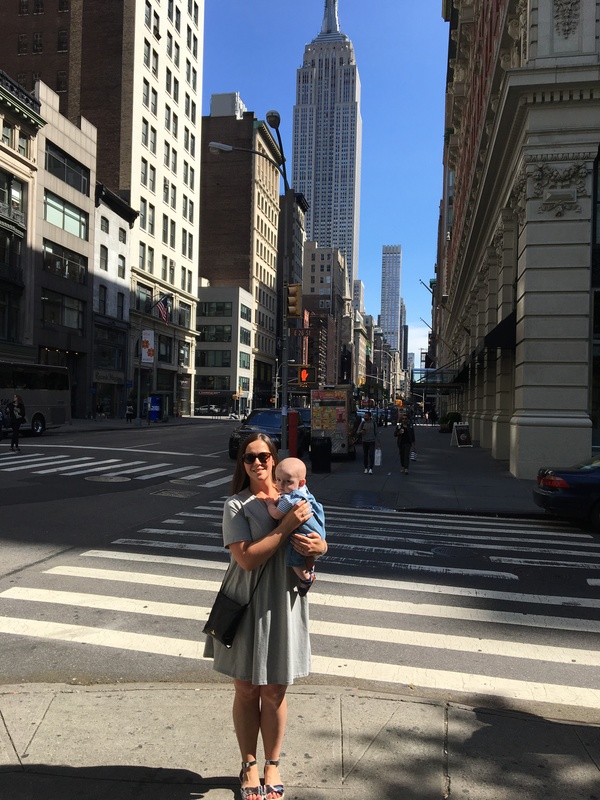 In the Big Apple, you can be strolling anywhere and suddenly see a famous spot – I’ll never forget that feeling many years ago when I saw the New York skyline for the first time – THAT view driving in from JFK airport creates so much excitement every trip. 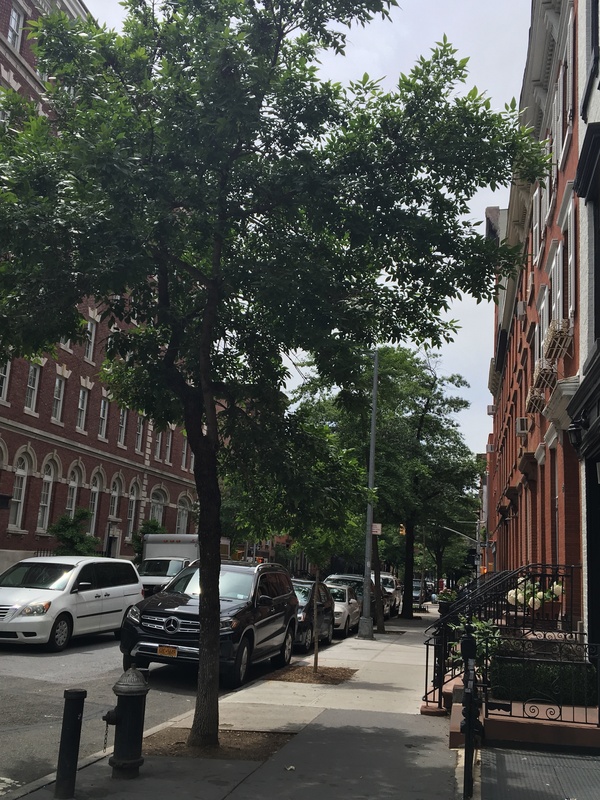 My morning started with a lovely long walk from my hotel on Lexington Avenue/51st to the West Village. It took a good hour (maybe a bit longer adding in the much needed coffee pit stop) and with a pair of comfortable walking shoes and dry weather it’s worth it. I walked down 5th Avenue, seeing the library, Empire State, Flat Iron building and then eventually ending up in Washington Square Park. This park amongst New York’s university is famous for many film locations including Step Up, I Am Legend and When Harry Met Sally. Glee was also shot here too. 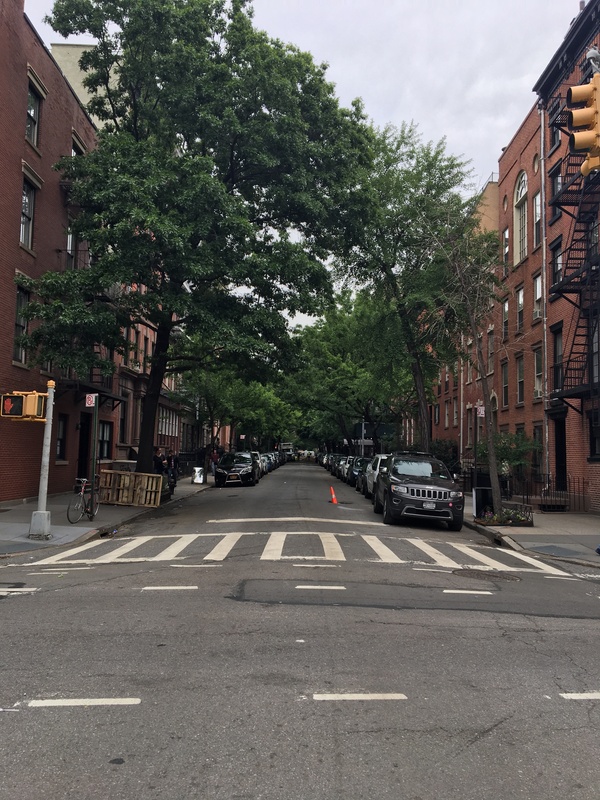 Heading west, away from the hustle and bustle, I found myself in the West Village – a residential neighbourhood area full of recognisable streets and an intimate vibe, just how one imagines it to be. Despite it’s tamed appearance, it’s full of lots of hidden gems – such as designer boutiques, sidewalk cafes, restaurants and art galleries. 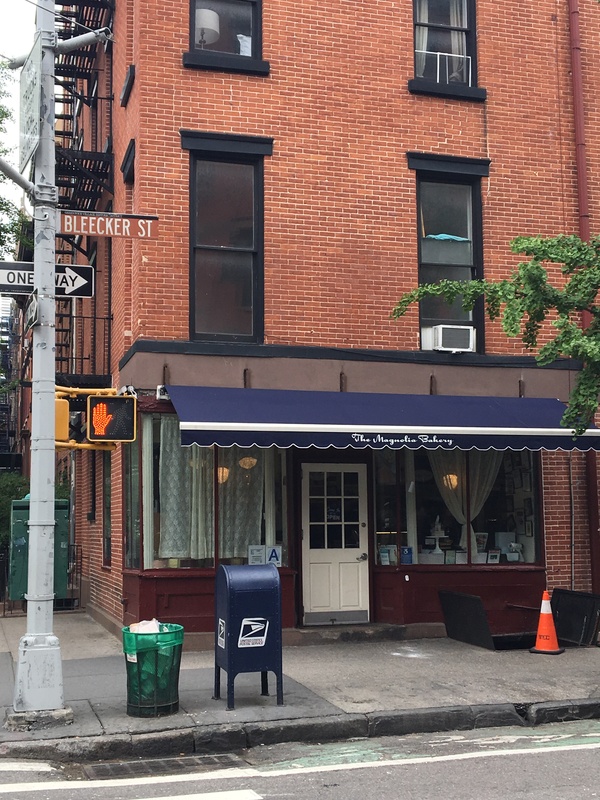 The shopping is fabulous, especially on Bleecker Street, with some brands such as Jo Malone, Michael Kors, Diptyque and MAC Cosmetics gracing a presence. Henry and I strolled along Christopher Street until we reached Bedford Street and made a left turn. Within seconds, you arrive at the crossroad of Grove Street and you see the renowned F.R.I.E.N.D.S apartment building. 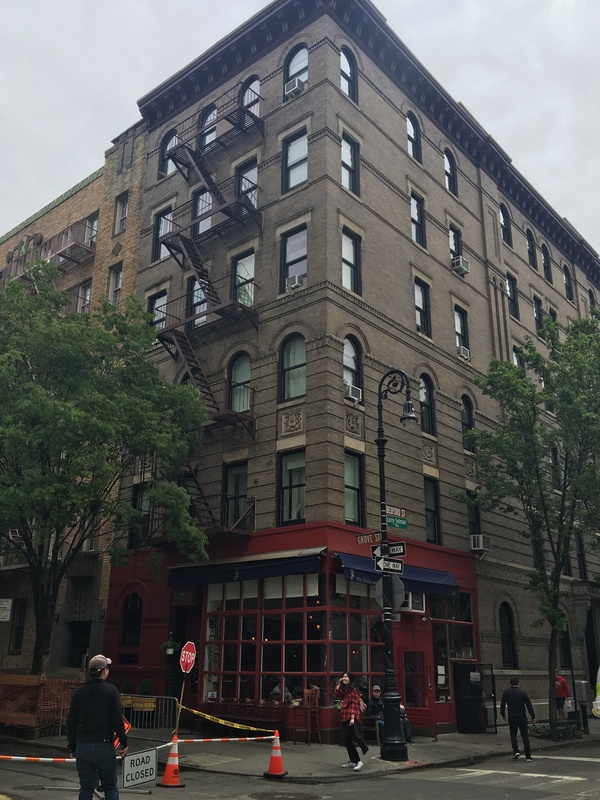 It is instantly recognisable and although it’s only used for exterior shots (the actual apartment scenes were filmed in a studio in Los Angeles) it’s rather impressive to see it in real life. Sadly there is no such existence of a “Central Perk” coffee shop, but there is a cute restaurant in its place, known as The Little Owl. 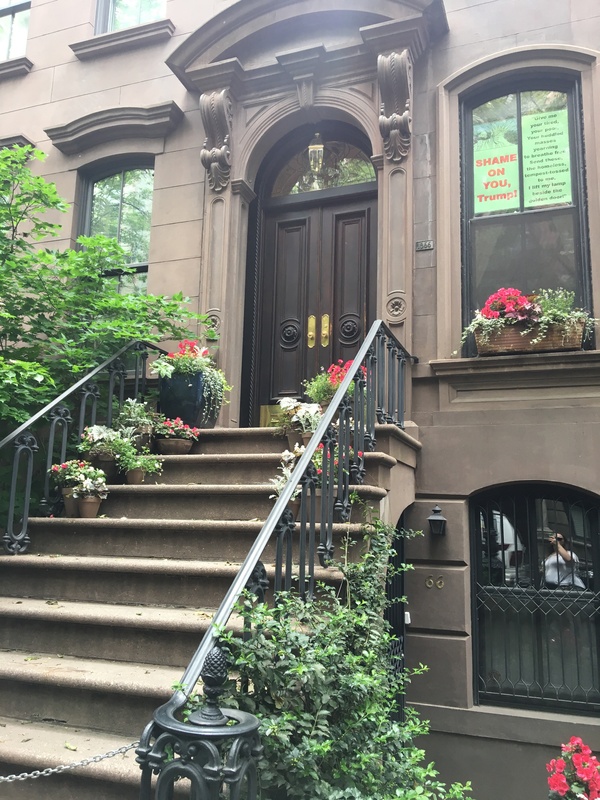 After taking a few photos we carried on walking around a few of the local streets, absorbing the surroundings as we headed to our next stop – Carrie Bradshaw’s apartment, at 66 Perry Street. 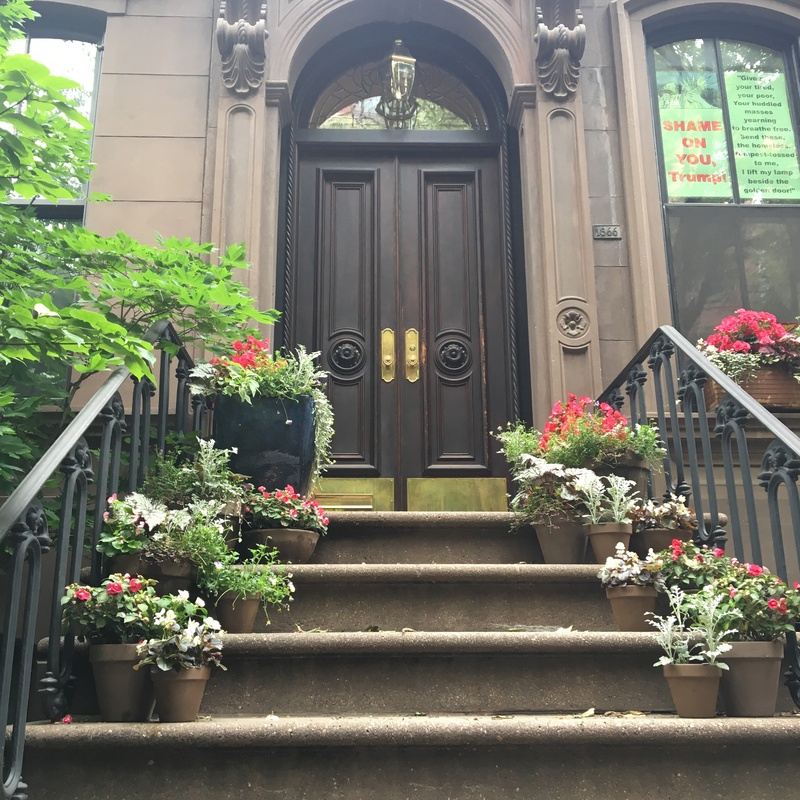 On arrival, you can’t help but stand there and imagine Carrie Bradshaw leaving her front door and down those steps, hopping in to the countless car rides with Mr Big. This property is an actual residence as there is a chain in place across the front to stop people going up on to the steps. Avoiding the anti-Trump campaign poster in the window, it’s a great photo opportunity for the memory album. By now I was feeling peckish. 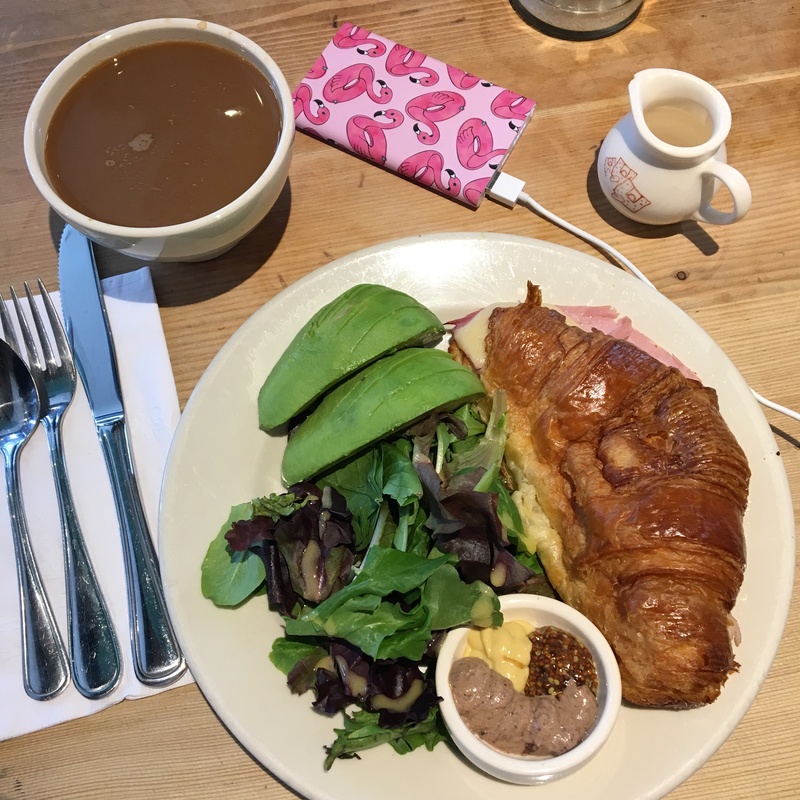 The weather wasn’t going to hold out for us, so the idea of sitting outside on a sidewalk cafe people watching wasn’t going to work, so I walked us to the corner of Perry Street and Hudson Street, finding a Le Pain Quotidien for a spot of brunch… My flamingo portable phone charge from Skinnydip London saved me every day whilst in NYC! From here we worked our way back towards Bleecker Street as I was in need of a cupcake fix from Magnolia Bakery. Their location here in the West Village is its first shop, which opened over 30 years ago. The renowned bakery brand can now be found at many international locations. 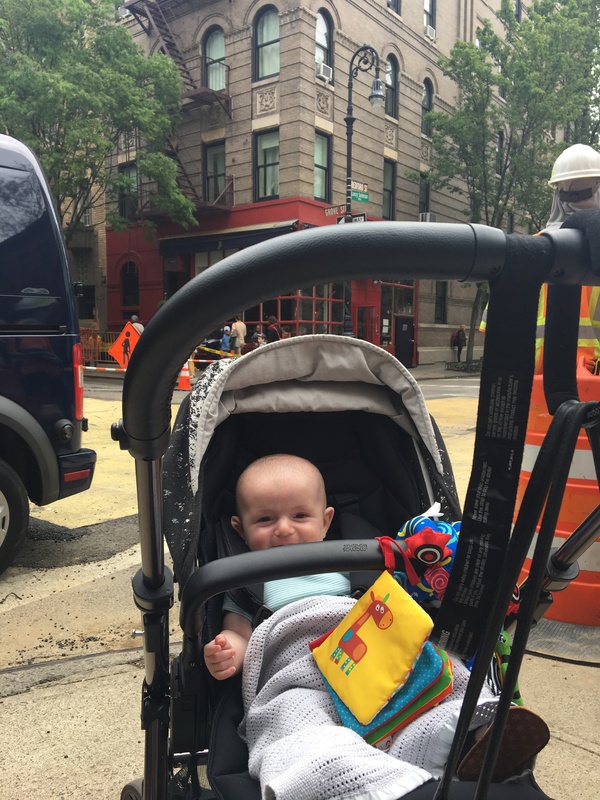 After this little sweetener, our morning stroll around the West Village also gave us a thrilling first for Henry. 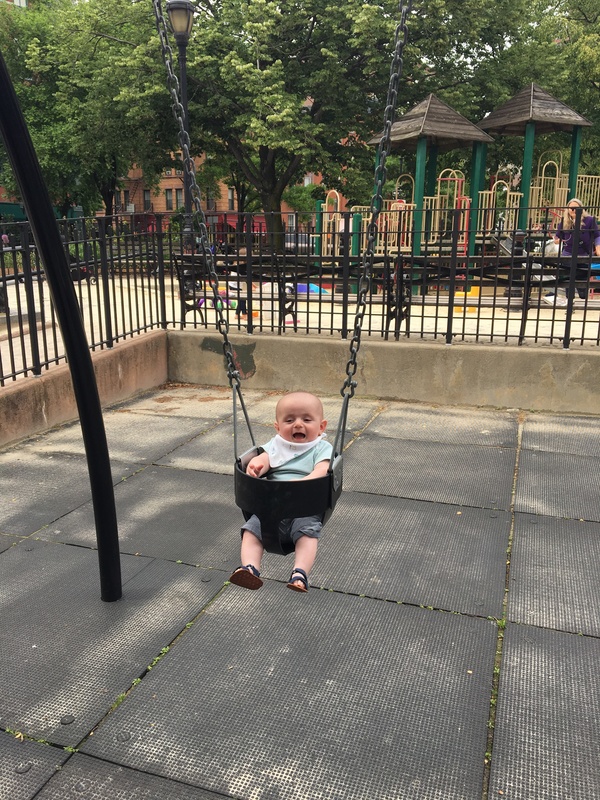 I spotted the Bleecker Playground and thought I would give Henry his first go on the swings. He looked so little in the seat, but he loved it so much! Henry is of an age now where I love to do activities with him, and now a trip to the local swings is a regular occurrence! Who knew the swings could be THIS much fun! And that is the end of our little morning out exploring the West Village. A couple of hours exploring this idyllic neighbourhood is must do on a trip to New York City – with or without a buggy! You just never know who you might bump in to and it’s a welcomed step out away from the busyness of the rest of the city. The rain had stopped by now and we had the rest of the afternoon to enjoy NYC from the outside. From the West Village we walked up Hudson Street to Gansevoort Street, where the Meatpacking District starts. 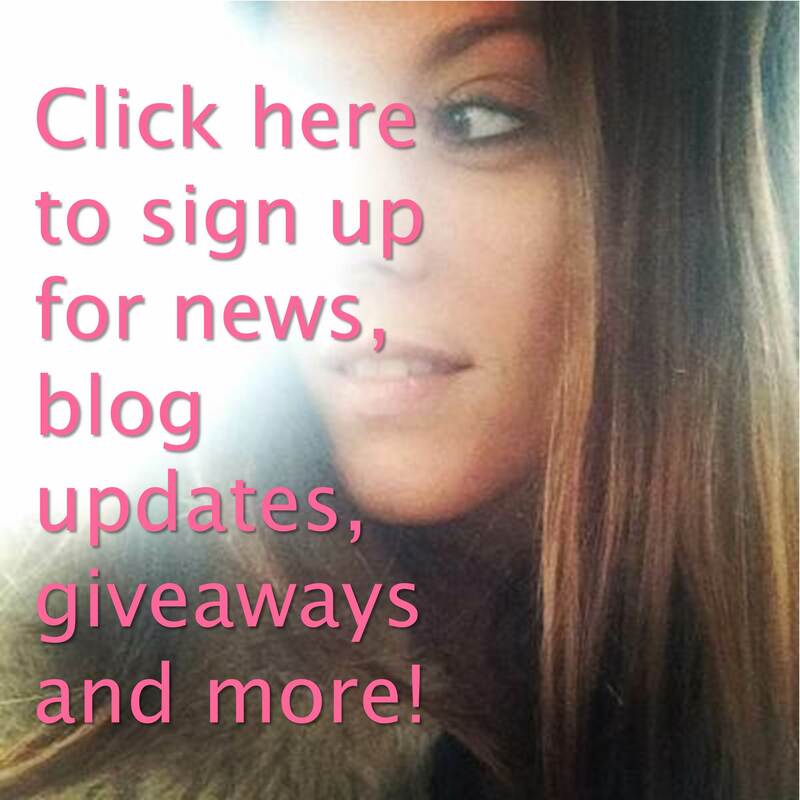 I love the Meatpacking District – it’s very trendy, with the infamous Pastis restaurant and also “must-see-and-be-seen-at” haunts such as The Standard and Soho House New York. I decided to walk the High Line. I have walked it before but in the winter which is not the best time to see it in all of its glory. 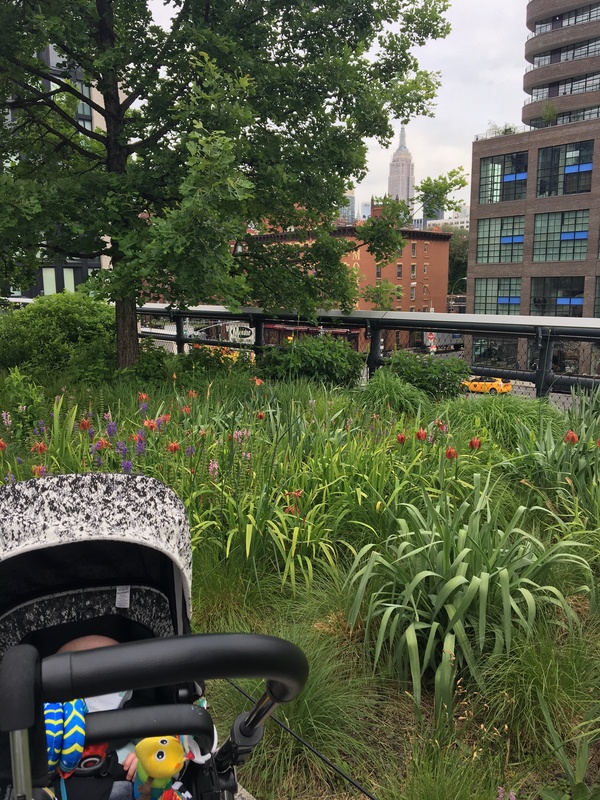 The High Line In spring/summer is beautiful and buggy friendly too, with lifts available. On the High Line, nearly 1.5 miles long, you get to see so much of the city – pretty views of the Hudson River, across east towards the Empire State and even in the distance north some of the flashing lights of Time Square. 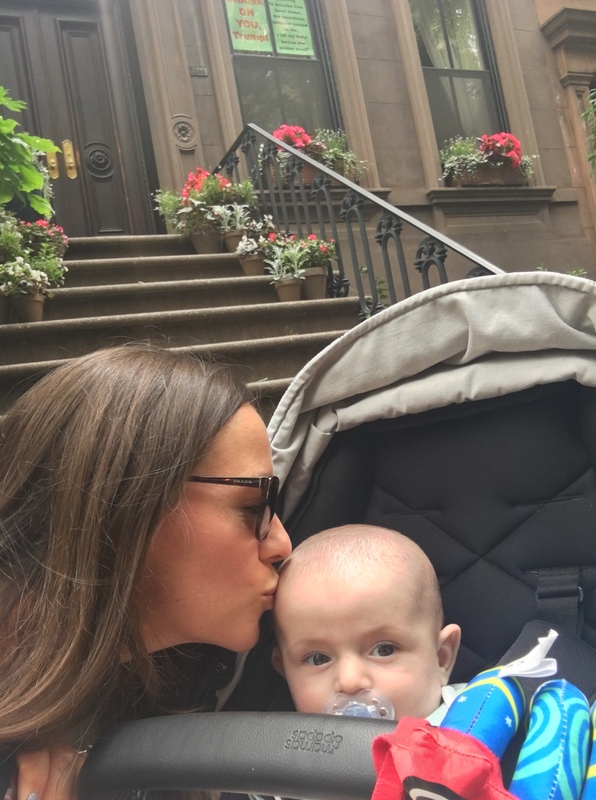 If like me, you’re visiting NYC with a baby and/or flying with a baby for the first time, don’t forget to check out my informative (and hopefully helpful) post here.